Virginia Carter Nickel, age 86 of Holland, passed away peacefully Wednesday, December 20, 2017. She was born to William and Elizabeth Carter and was raised in Birmingham, Michigan where she graduated high school, first in her class. 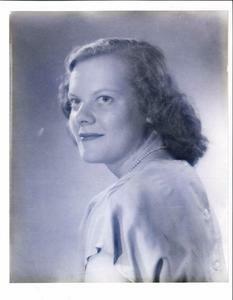 She married Howard Walker in St. Ignace, Michigan where they raised a family of three boys; Chris, Jim, and Bill. Howard preceded her in death at the young age of 45. Virginia moved to Holland, Michigan with her three boys where she met and married Thomas F. Nickel. She lived in Grand Rapids, then Holland, until her passing. Virginia was a faithful Christian person, a voracious reader and a very dedicated wife and mother. She always aspired to do her best and hoped others were doing the same. She put her intellect to work in two law offices as a paralegal for many years. During that time, supported herself, and the three boys for many years. Funeral services will be 3 pm Wednesday (December 27) at the Dykstra Funeral Home-Downtown Chapel, 29 East 9th Street with the Rev. Corwin Stoppel officiating. Burial will be in Woodlawn Cemetery.